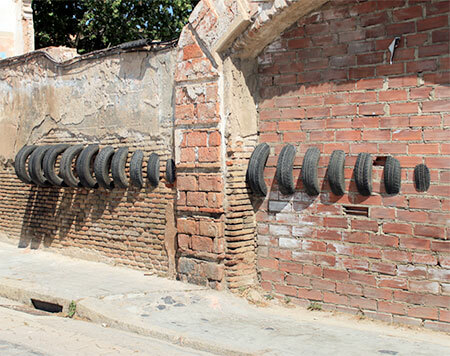 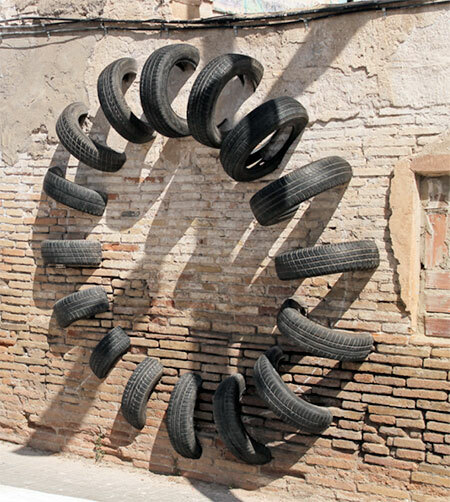 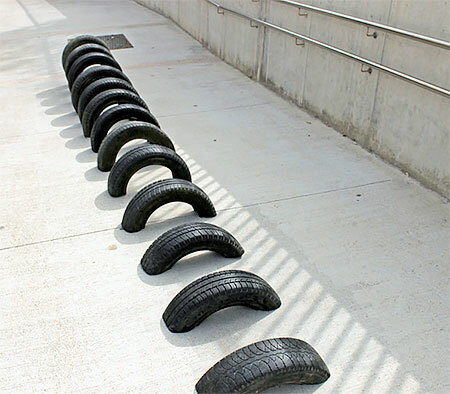 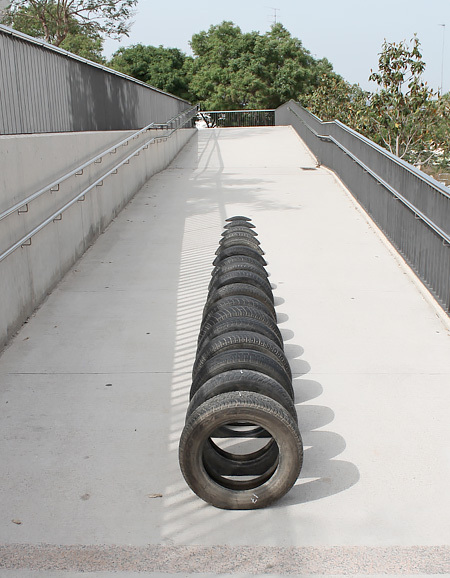 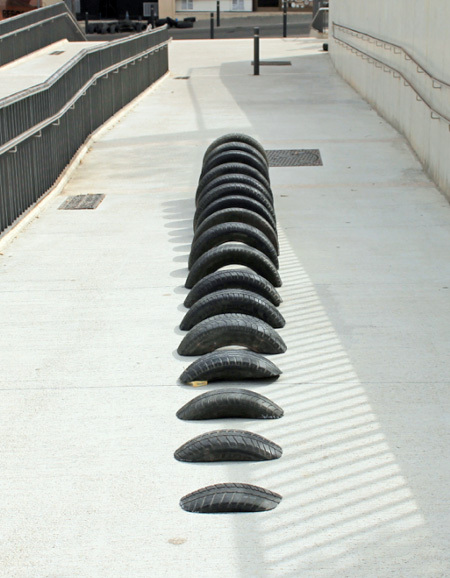 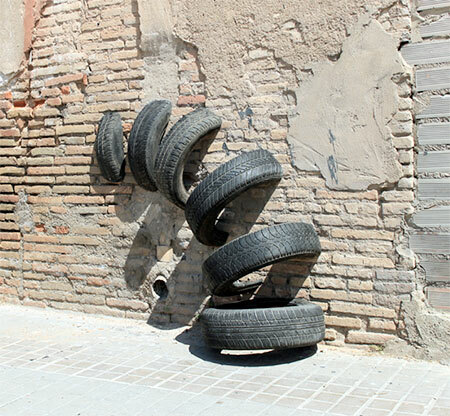 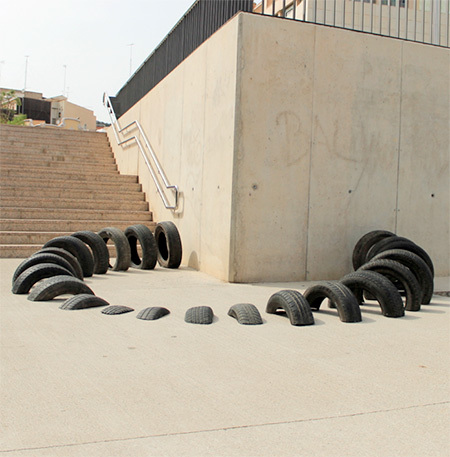 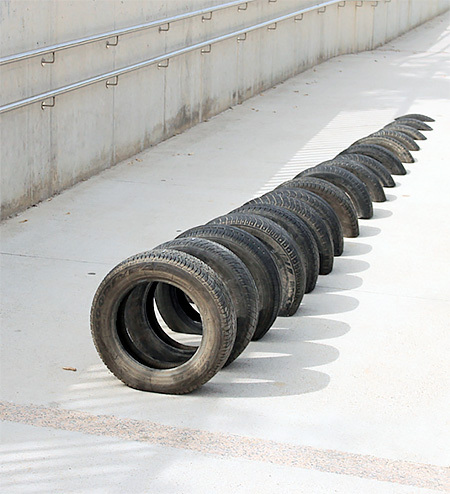 Unique art installations on the streets of Barcelona made out of recycled tires. 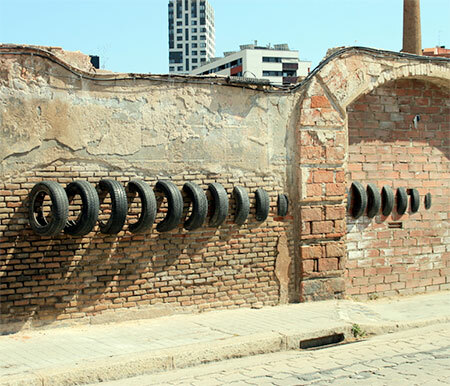 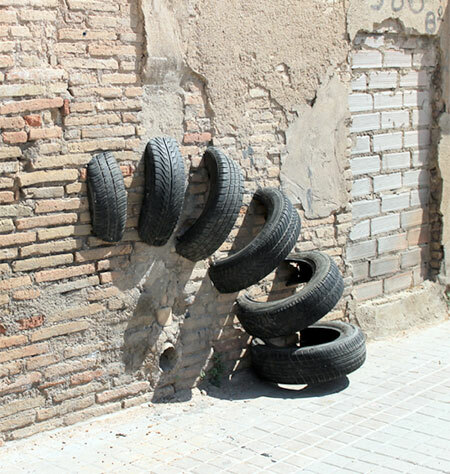 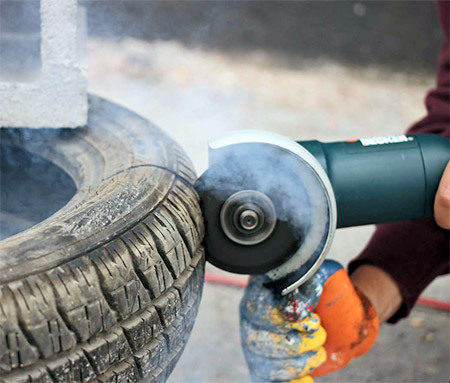 Old and used car tires were cut in half and hung in urban environments. 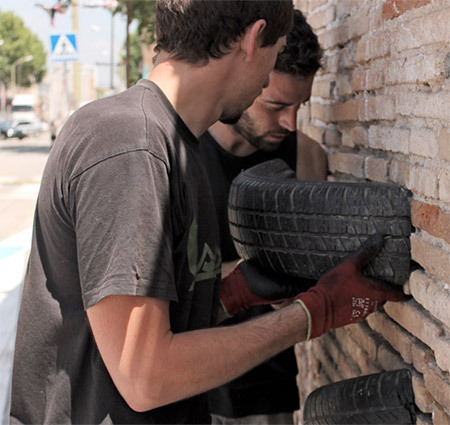 Pneumatic – cool art project by OOSS, Iago Buceta, and Mateu Targa. 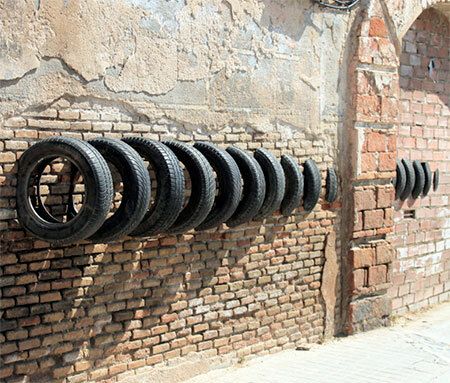 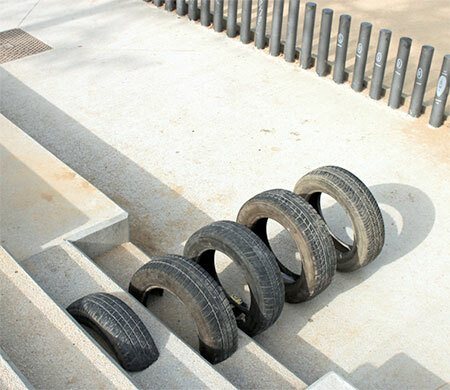 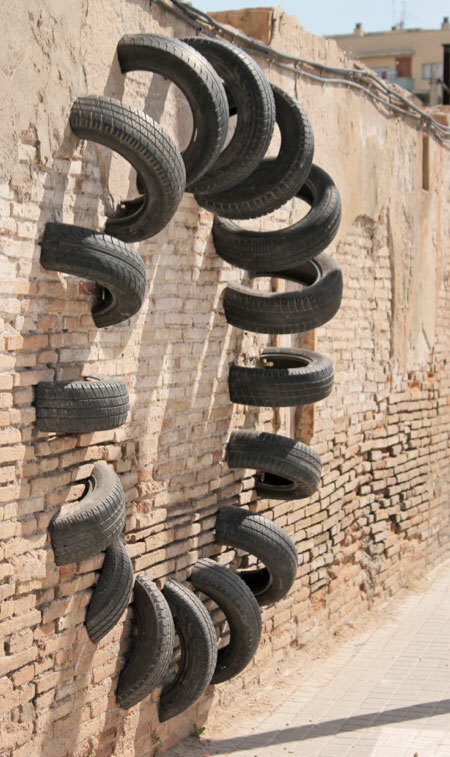 Certainly nice work, reusing tyres that would be scrapped. 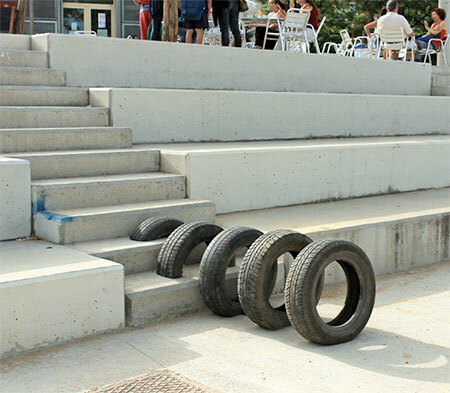 But at times this could be intrusive- especially the ones on/near staircases and walkways. 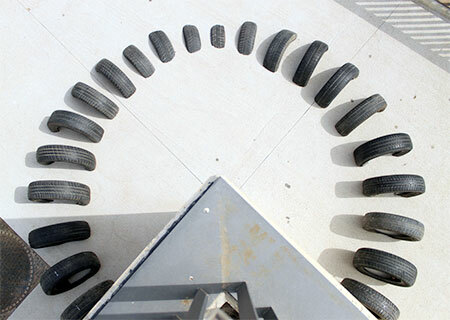 Would like to see how this will look if the tyres were coloured. 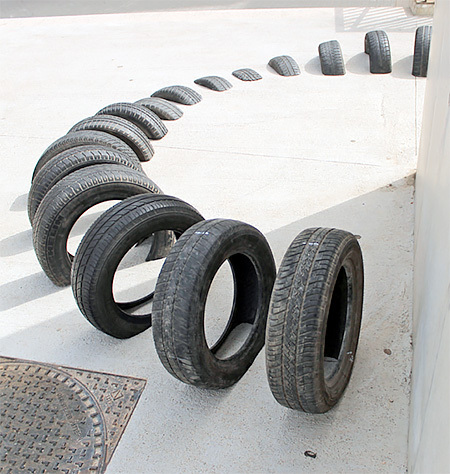 Definitely worth doing as commercial art.